In an effort to streamline our site and help you get to just the parts you want without have to sift through a bunch of stuff you don't want, we have added a search engine. Some of our most common themes and tags are listed below. One of my biggest pet peeves as a vegan is when people tell me how expensive it is to be vegan. Well, that, and bacon jokes, and questions about protein or hypothetically being stranded on a desert island. 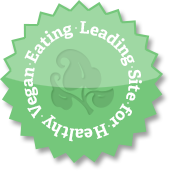 I think this misconception about a vegan diet being more expensive comes from all of the (wonderful) packaged and processed vegan foods out there. Even so, buying the non-vegan equivalents of packaged burgers, nuggets, and whatnot isn't exactly cheap either. I usually counter by asking how much a pound of chicken (or cow) costs, and then provide the price for a pound of tofu or beans, which is always considerably less, even for organic. I guess maybe we buy more fresh produce than non-vegans, but really, everyone should be eating their veggies anyway, so that doesn't count in my book. One of the ways we avoid buying a lot of processed vegan foods is meal planning. We spend so much less on groceries because we only buy what we will use and we use everything we buy, and our leftovers become lunches we take to work, which also saves money. To some people this sounds like a huge ordeal, but it's really very simple. I just spend a little time on the weekend (usually in the morning) with the cats snuggled in and a cup of tea in my hand, browsing through my cookbooks. Who doesn't love to do that anyway? I have a little day planner and I just jot down on each day what our dinner plan will be. 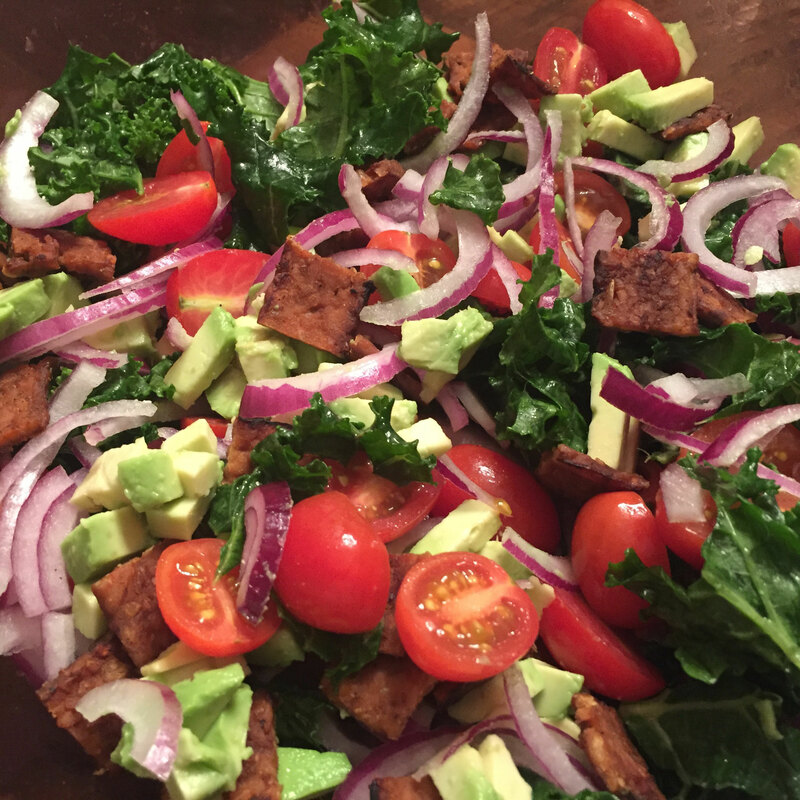 The leftover tofu will be in a salad for lunch tomorrow. Yes? OK, plan dinners for Monday and Tuesday that will have enough leftovers for lunches, or as we call it "Lunch Packet Potential" (LPP). No? OK, either plan meals all week that will have only small amounts of (or no) leftovers, or plan the ones that will for early in the week, and meals with LPP for the end of the week. I know this sounds silly, but we live in Georgia. We had a high of 30 degrees on a Saturday and then in the low 70s just four days later. If the weather is nice, we like to cook on the grill. If it's 40 degrees and raining, I want soup or stew. 3. What's in the freezer already? Since we normally cook for two, we end up with a fair amount of leftovers. Sauces are one of those things that we never use the full amount of from any recipe, and I get so frustrated throwing them away. Most of them will keep well in the freezer, so that's my usual solution. If I made a batch of tomatillo-avocado sauce from the Candle 79 cookbook, you can be sure I'm keeping what's left and using it again. I label and date the containers so we're not playing "pesto or chimichurri" or “how old IS this”. I plan meals around what's already in there so we can be sure to use it up before it's not worth using. I also check for things like seitan or bread and build into the meal plan a day to make those things if we need them - more on that later. 4. What is our schedule like? If I know I'll be working late, I plan a meal for that day that I know Seth likes to cook. If I know I'll be home early, I can plan something that may take a little longer. Make bread on Sunday and freeze it until you need it on Thursday. 5. What will need additional prep time, or needs to be made ahead? OK, this is the part where I usually lose people. I do advance prep for some of our meals. It's not usually anything major, generally just soaking beans, or making a batch of seitan on Sunday so we can have it for Wednesday. I always, and I mean ALWAYS make a double batch of things like seitan and just keep it in the freezer. If you eat it once a week as we usually do, a double batch will typically last a month. If something will need to be made in advance, I make a note on a day I know I'll have time to get it done, usually a Saturday or Sunday. 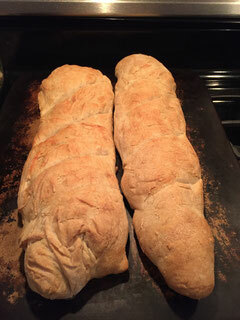 It may sound silly, but if I see a note on Sunday to make seitan or bread, I won't end up trying to make dinner on Wednesday and realizing I forgot it needed to be done. (Which has happened to me more than once.) I also often take a moment to do a little prep the night before or in the morning for certain things. 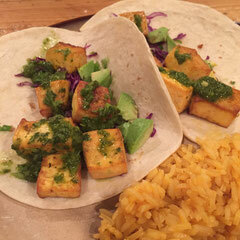 If we're having tofu on Tuesday and it needs to be marinated, I make the marinade Monday night, usually while I’m making dinner anyway. We like ours to soak all day, so when I get up in the morning, I press the tofu while I get ready for work and then plop it in the marinade before I walk out the door. Voila. Dinner is halfway done and I'm just starting my morning commute. Same for beans. If I need to soak beans, I will leave them out on the counter the night before so I don't forget in the morning. We have a pressure cooker, so even if I do forget, it's not the end of the world, but you get the gist. Plan for the prep and you’ll be glad you did. 6. Which meals will have leftover ingredients that can be used later in the week? This was one of the hardest things for me to master, but it really helps. If I buy a full bunch of kale, and I know we'll only use half on Monday, I plan a meal for, say, Thursday to use the rest. Same for things like broccoli, or asparagus. One of my favorite things to use up "spare" veggies is pasta, couscous or a stir-fry. Bought a whole head of cabbage for that thing you made on Sunday and now there's half a head left? You're having slaw on Friday! If there's something like tofu leftover, I just toss it in a salad to take to work for lunch. Just work all the loose bits and pieces into your plan for the week, and you're good to go. If it's a weird or special ingredient that will be hard to recycle, well, you may have to get creative, or make more of whatever you're using it in and freeze it for later. So that’s really all there is to it. Save money. Eat healthier. Waste less. Never wonder what’s for dinner again. Except... in the last two weeks, I've had to make last minute changes to my well-thought out plans. It's OK when this happens, too. Just remember what ingredients you still have on hand when making the plan for next week.